Studies have shown that the incidence of kidney cancer has been on the rise over the past decade, though the underlying reason is still unclear. Despite the research on kidney cancer, most cases are still discovered during unrelated procedures. With the advancements of medical imaging technologies like computerized tomography (CT), this may be the reason that more cases of kidney cancer have been diagnosed in recent years. If you or a loved one have been diagnosed with kidney cancer, then we encourage you to have a look at the list of new and ongoing kidney cancer clinical trials. We realize that the thought of participating in a clinical trial may make some uneasy, but your participation could lead to a breakthrough that might save millions from this disease. Cancer clinical trials are strictly confidential and always at no cost to you. Kidney cancer is also known as renal carcinoma. If normal cells in one of the kidneys begin to mutate and grow uncontrollably, this can create a tumor in one or both of the kidneys. While it is usually just a single mass, there can be more than one tumor that forms in the kidneys. Most kidney tumors are identified by ultrasounds or CT scans that are being performed for some other disease or condition. This form of cancer may not be identifiable until after the mass has become rather large. However, most cases of kidney cancer are diagnosed before the disease has begun to metastasize. Once it has begun to spread, renal cell carcinoma becomes much more deadly, and treatment options become much more limited. When it comes to treating kidney cancer, a multidisciplinary team of specialists and oncologists must work together to form a treatment plan tailored to the specific patient. The recommended treatments will depend a variety of factors, including the stage at which kidney cancer was diagnosed, the patient’s overall condition, and their personal preferences. Kidney cancer is mostly treated with a combination of surgery, targeted therapy, and/or immunotherapy. 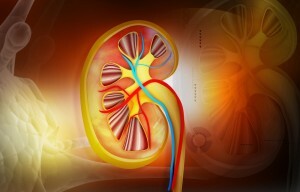 However, not as many cases of kidney cancer are treated with radiation and chemotherapy. Patients with more advanced form of cancer are often encouraged to consider clinical trials as another treatment option.